Bethenny Frankel, Larry King, Melanie Griffith and more well-known people who have been diagnosed with cancer. Jane Fonda revealed on Monday, Jan. 15, 2018, that she had a cancerous growth removed from her lower lip, Us Weekly reported. During an appearance in Manhattan to promote her show "Grace and Frankie," she addressed a bandage on her lip saying, "I just had a cancer taken from my lip." She explained she thought it would heal before the event but assured that "it's fine." Julia Louis-Dreyfus announced on Thursday, Sept. 28, 2017, that she was diagnosed with breast cancer. The star of "Veep" and "Seinfeld" posted word of her illness on Instagram and Twitter. 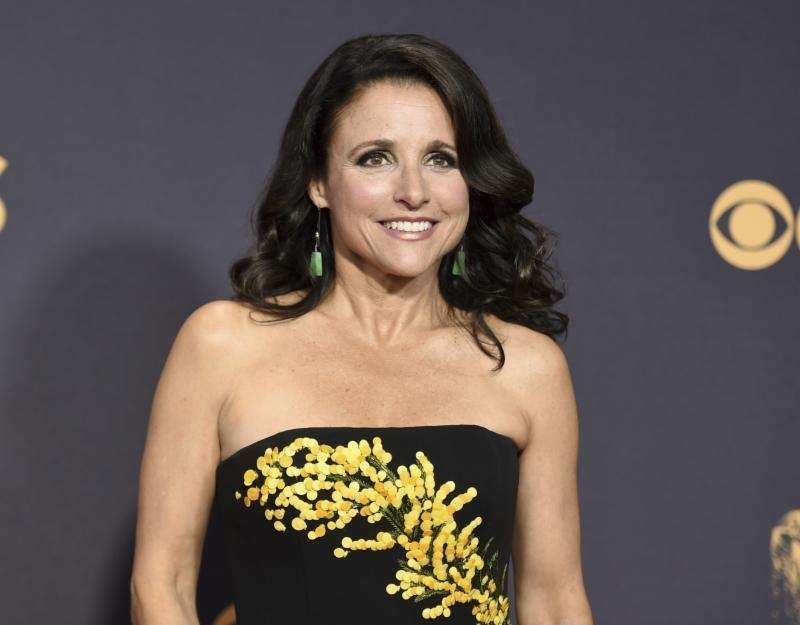 Filming for "Veep" was put on hold as she underwent chemotherapy and on Jan. 13, 2018, she marked the end of her treatment with an Instagram video of her sons, Charlie and Henry, lip-syncing to Michael Jackson's "Beat It." 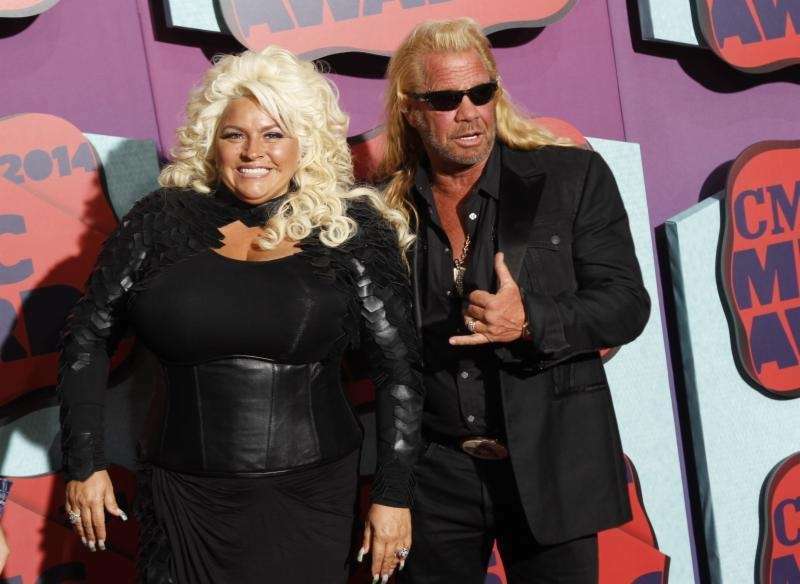 "Dog the Bounty Hunter" star Beth Chapman is battling stage 2 throat cancer, her husband of 11 years, Duane "Dog" Chapman, confirmed via Facebook. "I've been dealt my share of unexpected blows over the course of my almost fifty years but nothing as serious as the one I heard from my doctors two weeks ago when they uttered those dreaded three words, 'You have cancer,' " she writes in a letter, obtained by Us Weekly. "After months of a nagging cough, a routine checkup resulted in a diagnosis of stage II throat cancer. I have what is referred to as a T2 Tumor in my throat that is blocking my breathing. My doctors are suggesting immediate treatment and surgery before the disease progresses," she added. In an Aug. 30, 2017, Instagram post, "Real Housewives of New York City" star Bethenny Frankel appeared with a Band-Aid on her cheek, prompting fans to ask what had happened. She announced she had recently "had a growth removed," which tested positive for basal cell carcinoma, People.com reports. Melanie Griffith first underwent surgery in December 2009 to have skin cancer removed from her face, and in September 2017 the actress again "underwent treatment to have basal cell carcinoma removed from her nose," USWeekly.com reports. 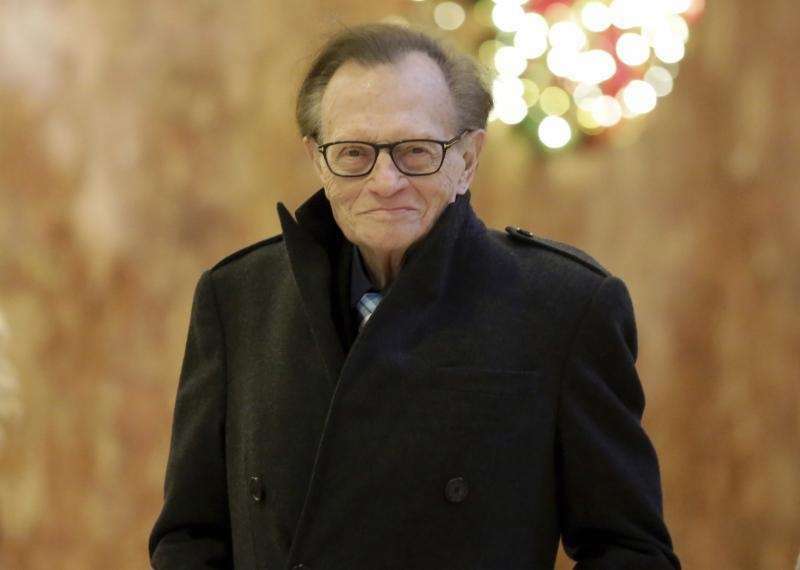 Talk-show host Larry King says he is recovering from lung cancer, which was diagnosed earlier this year. He told Us Weekly he went for his checkup and had an X-ray done on his chest, and that's when his doctor said to him, " 'Something looks funny.' They said the spot looked pretty small. . . . I then did a CAT scan, then a PET scan and then he said to me, 'You have lung cancer, but it looks very small, in the beginning stages.' " King has since undergone a successful surgery on July 17 at Cedars-Sinai Medical Center in Los Angeles. 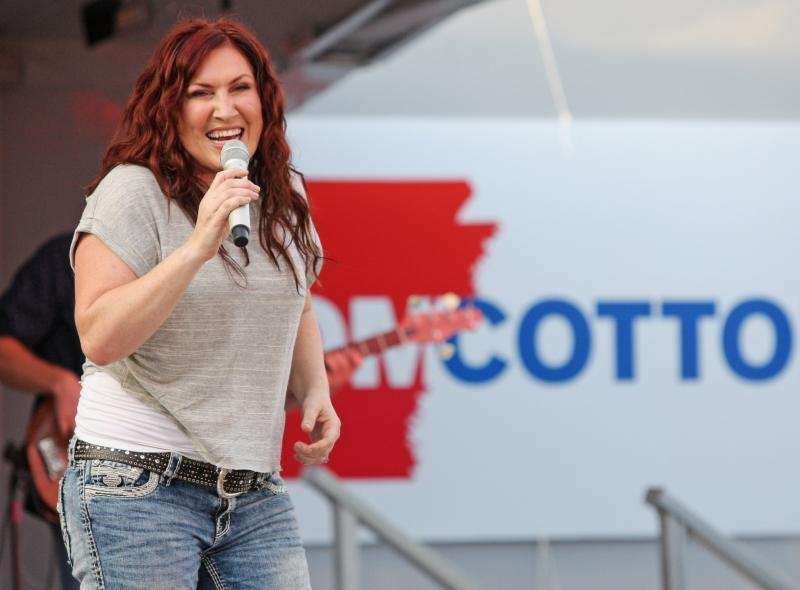 Country singer Jo Dee Messina, 47, whose hits include "I'm Alright" and "Bye Bye," announced Wednesday, Sept, 6, 2017, that she has cancer and will be postponing her 2017 show dates after Oct. 7. A statement posted on her website didn't specify the kind of cancer Messina has been diagnosed with, but said she's "working closely with a team to explore all options." Joe Simpson, who is father to Jessica and Ashlee Simpson, was diagnosed with prostate cancer in November 2016. After undergoing radiation treatments, Simpson has bounced back and has "zero cancer," he told Us Weekly on July 27, 2017. 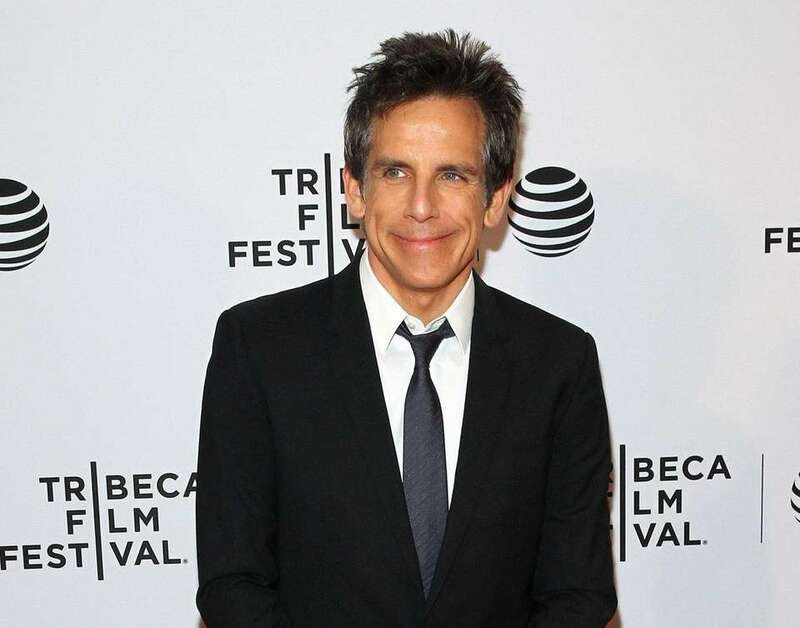 Ben Stiller, the "Zoolander" and "Night at the Museum" star, revealed on Tuesday, Oct. 4, 2016, that he has survived prostate cancer. He spoke in detail about the struggle on Howard Stern's radio show, and separately recounted his experience in an essay published by Medium. "It came out of the blue for me," Stiller told Stern of his June 2014 diagnosis. The actor says a test that September declared him cancer-free. Former supermodel Janice Dickinson revealed in a video interview with the Daily Mail on Monday, March 28, 2016, that she's living a "nightmarish dream" after being diagnosed with breast cancer two weeks ago. The 61-year-old said that during a routine exam, her doctor found a pea-sized lump in her right breast. Angela "Big Ang" Raiola of the VH1 reality show "Mob Wives" was diagnosed with a malignant, "lemon-sized" throat tumor in March 2015, according to People magazine. After two surgeries, Big Ang said she was on the road to recovery, but in February 2016, TMZ reported family members said it had spread to stage 4 brain and lung cancer that was resistant to chemotherapy treatment she underwent in January. Raiola died on Thursday, Feb. 18, 2016, at the age of 55. Fox Sports sideline reporter and "Dancing with the Stars" co-host Erin Andrews revealed on Tuesday, Jan. 24, 2017, that she secretly battled cervical cancer during the NFL season. She told Sports Illustrated's MMQB that she underwent surgery for the cancer on Oct. 11 and then again on Nov. 1. 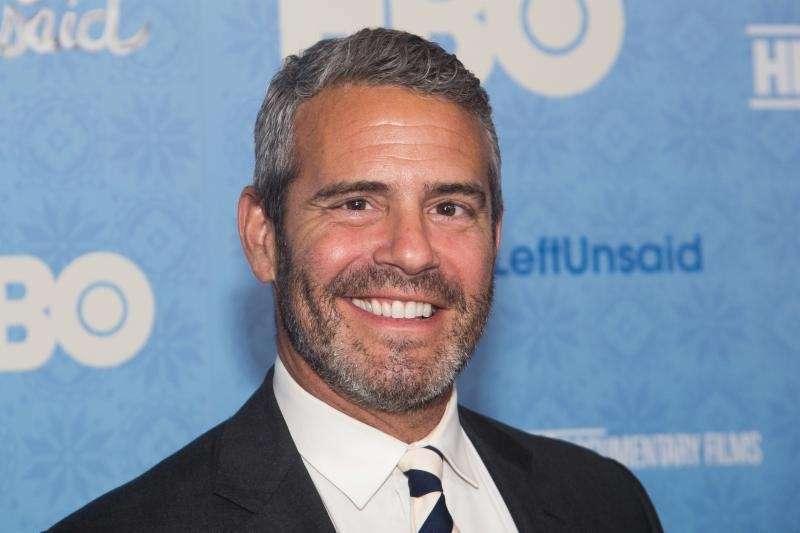 On a Friday, Nov. 25, 2016, episode of "Live With Kelly," special co-host Andy Cohen revealed he was diagnosed with melanoma. On the show, Cohen thanked his pal, Kelly Ripa, for urging him to see a doctor after spotting a black mark on his lip. Cohen said now "it's all fine" after the removal of the affected area. MTV's "The Challenge" star, Diem Brown, was diagnosed with cancer three times within a nine-year time span. -- twice with ovarian cancer, and once with colon cancer, according to People magazine. She died on Friday, Nov. 14, 2014, at age 32. The late David Bowie (1947-2016), born David Jones, remains one of rock music's most recognized artists, known for his innovative, evolving style and multiplatinum record sales; Bowie was enshrined in the Rock and Roll Hall of Fame in 1996. 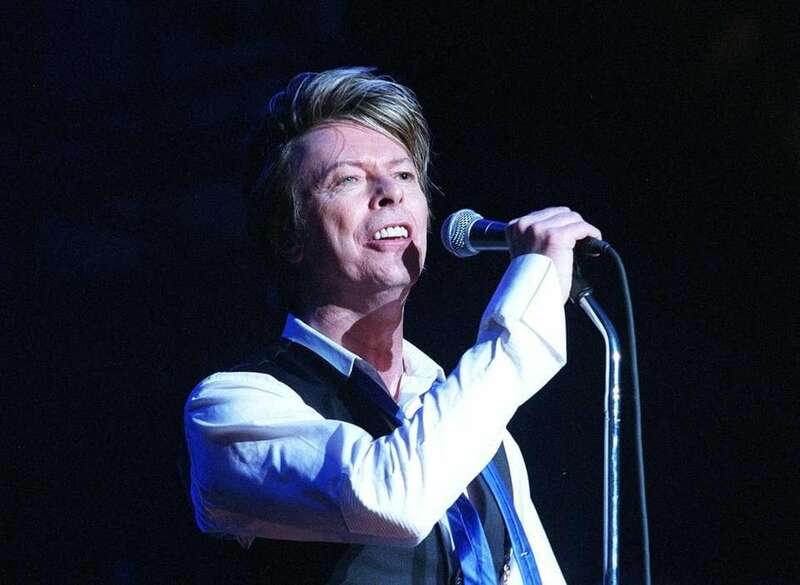 Bowie was diagnosed with liver cancer in 2014, but didn't publicize his affliction. Working on his music right until the end of his life, the artist released what would be his final album, "Blackstar," on Jan. 8, 2016. Two days later, Bowie died at the age of 69. 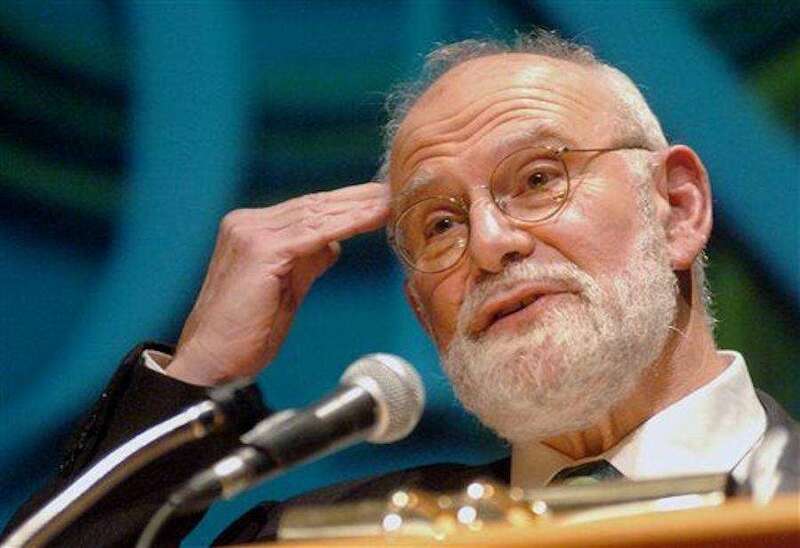 The late Oliver Sacks (1933-2015) was a neurologist and author, gaining acclaim for his efforts in improving the mainstream understanding of a variety of neuropsychiatric syndromes (he was also played by the late Robin Williams in the 1990 film "Awakenings," based on his 1973 book of the same name). Sacks wrote an op-ed in The New York Times in February 2015, where he announced had been treated in 2006 for ocular melanoma (cancer of the eye) with radiation therapy and surgery, which had resulted in blindness in his right eye. However, the doctor further revealed that the cancer had since metastasized to his liver, and that this second diagnosis was terminal. Dr. Sacks died as a result of his cancer in August 2015 at the age of 82. Widely known for her roles in the television programs "Beverly Hills, 90210" and "Charmed," Shannen Doherty was diagnosed with breast cancer in March 2015. She has received a mastectomy, chemotherapy and radiation therapy as part of her treatment. 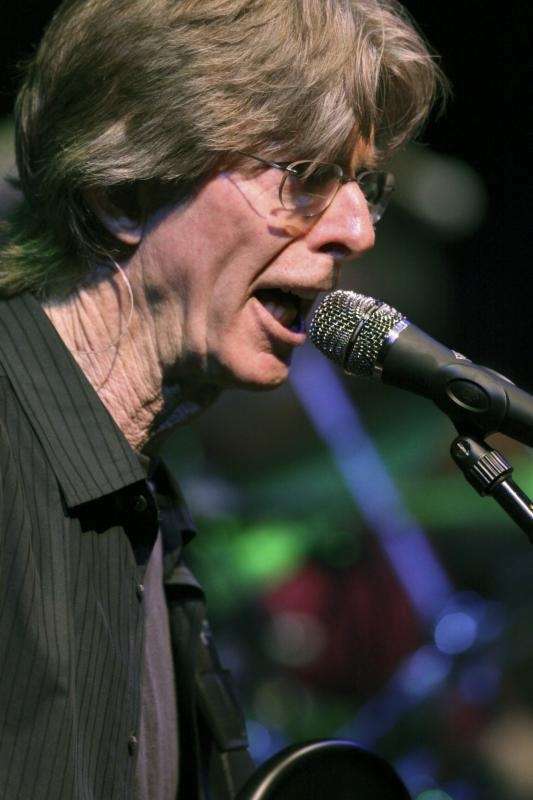 Musician Phil Lesh (and founding member of the iconic jam rock band Grateful Dead) was diagnosed with prostate cancer in October 2006, and underwent surgery as treatment. Lesh also received a diagnosis of non-aggressive bladder cancer in October 2015, which was treated with surgical removal of the related tumors. Rita Wilson, actress, performer and producer (and spouse of actor Tom Hanks), announced in April 2015 that she had been diagnosed with invasive lobular carcinoma (a type of breast cancer) and had since undergone a bilateral mastectomy and reconstructive surgery. Author, celebrity chef and television personality, Sandra Lee was diagnosed with ductal carcinoma in situ (an early-stage breast cancer) in March 2015. She first underwent a lumpectomy (breast-conserving surgery), but later opted for a bilateral mastectomy (and was further treated for a related post-operative infection) and received reconstructive surgery. Former anchor of "NBC Nightly News" Tom Brokaw was diagnosed August 2013 with multiple myeloma (a cancer formed by malignant plasma cells, which can produce bone tumors). Brokaw has since undergone chemotherapy, bone supplement infusions and surgery on his spine; he wrote in a New York Times op-ed in October 2016 that the spinal surgery cost him three inches of height. 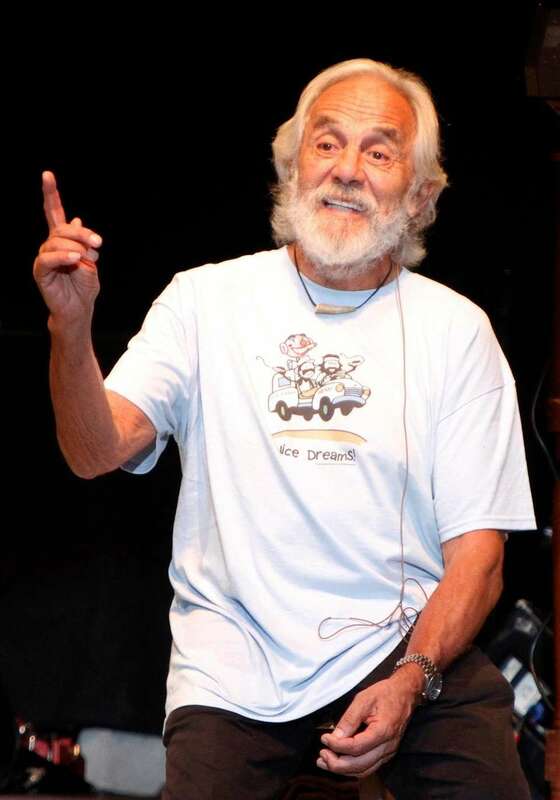 Comedian and actor Tommy Chong, most recognized as half of the Grammy Award-winning comedy duo Cheech & Chong, was diagnosed with prostate cancer in 2008, but didn't undergo cancer treatment until he also developed colorectal cancer, a second diagnosis he publicly revealed in June 2015. Chong underwent surgical tumor removal, radiation treatment, a colostomy and chemotherapy to combat his illness. Hugh Jackman posted photos to his social media accounts (including this photo to his Instagram account on Nov. 21, 2013) on different occasions to share when he has been diagnosed with basal cell carcinomas (a type of skin cancer.). Jackman has been treated five times for carcinomas since November 2013; four times cancerous cells were removed from his nose, once from his shoulder. Journalist and TV host Joan Lunden was diagnosed in June 2014 with what is unofficially called "triple negative" breast cancer, an aggressive and prolific type of cancer that is difficult to treat, as it does not respond to some commonly used therapies. Lunden underwent chemotherapy with the intention of shrinking the tumors that were present, then followed with a lumpectomy (breast-conserving surgery) and radiation treatment. Physician and broadcaster David Drew "Dr. Drew" Pinsky announced in September 2013 that he had been diagnosed with low-grade prostate cancer, and had received a prostatectomy (surgery to remove the prostate) in July 2013. Radio personality Robin Quivers, the longtime co-host of the syndicated radio show and current SiriusXM satellite program "The Howard Stern Show," revealed in September 2013 she had been diagnosed in June 2012 with endometrial cancer, which caused a cancerous mass to grow in her pelvis. She underwent surgery to remove the tumor and a hysterectomy, followed by chemotherapy and radiation treatments. The publicist for Academy Award-winning actor, Dustin Hoffman, announced in August 2013 that he had been treated for an unspecified form of cancer, and would continue to receive preventative treatments. The late Roger Ebert (1942-2013) was a Pulitzer Prize-winning film critic and television personality who also battled cancer for several years. His first experience with the disease took place in 2002, when he was diagnosed with thyroid cancer, which led to surgical removal of his thyroid and some affected lymph nodes, followed by radioactive iodine therapy. However, Ebert was again found to have cancer in 2003, as the disorder was discovered in his salivary gland--and another instance of the disease was found in his jaw in 2006. The 2006 diagnosis required a tracheostomy--an incision in the windpipe--which left Ebert unable to speak. He also lost a portion of his jaw, leaving him unable to eat or drink. Ebert suffered a fractured hip in December 2012, and during a related examination was found to have again developed cancer; he announced the finding via his blog on April 2, 2013. The veteran film critic died the next day. 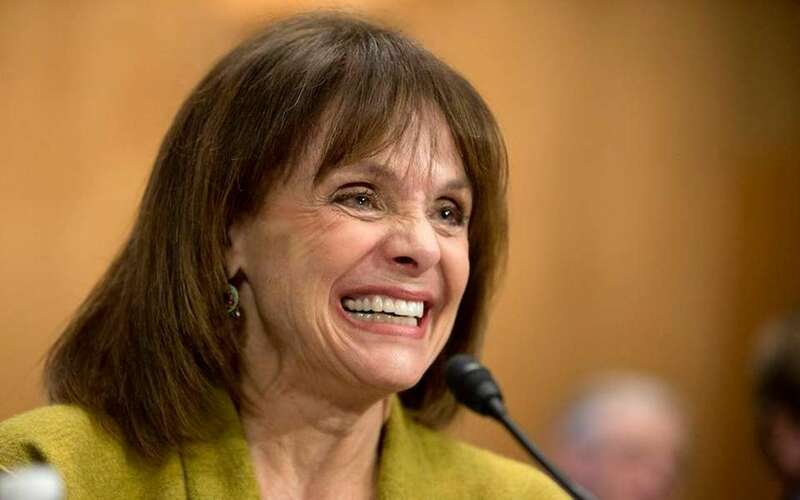 Best-known for her portrayal of "Rhoda Morgenstern" in the CBS network sitcoms "The Mary Tyler Moore Show" and "Rhoda," the Emmy Award-winning actress Valerie Harper was diagnosed with leptomeningeal carcinomatosis (a type of brain cancer) in January 2013. Harper expressed that her condition was terminal, and that she only had a matter of months to live; she had been affected by lung cancer in 2009, and the brain cancer was potentially a reoccurrence of the disease. Harper has undergone chemotherapy as treatment; as of January 2017 she is still battling cancer, but has been able to keep working, appearing in film and television productions in 2016. Author Judy Blume blogged on Sept. 5, 2012 that she was diagnosed in June that year with ductal carcinoma, a type of breast cancer. Blume underwent a mastectomy and breast reconstruction; she further revealed in the same blog post that she had also undergone a hysterectomy seventeen years prior to her breast cancer diagnosis that had revealed early-stage cervical cancer, caused by HPV. The late Levon Helm (1940-2012) was a Grammy Award-winning musician, most famously the drummer and lead vocalist for the Band. Helm was diagnosed with throat cancer in 1998, and despite the removal of a tumor from his vocal cords and almost 30 radiation treatments, he died from complications of cancer. The late Joseph "Smokin' Joe" Frazier (1944-2011) was a professional boxer and one-time heavyweight champion who had been inducted into the International Boxing Hall of Fame and World Boxing Hall of Fame. Frazier was diagnosed with advanced liver cancer in September 2011, and passed away following approximately two months of hospice care at age 67. Television personality Giuliana Rancic announced on Oct. 17, 2011 (as a guest on the NBC networks morning news/talk program "Today") that she had early-stage breast cancer. She first underwent a double lumpectomy (breast-conserving surgery) as part of her treatment, but eventually opted for a bilateral mastectomy. Rancic has since partnered with nonprofit breast cancer research and advocacy organization The Pink Agenda, and founded Fab-U-Wish, a wish-granting program working with women undergoing breast cancer treatment. 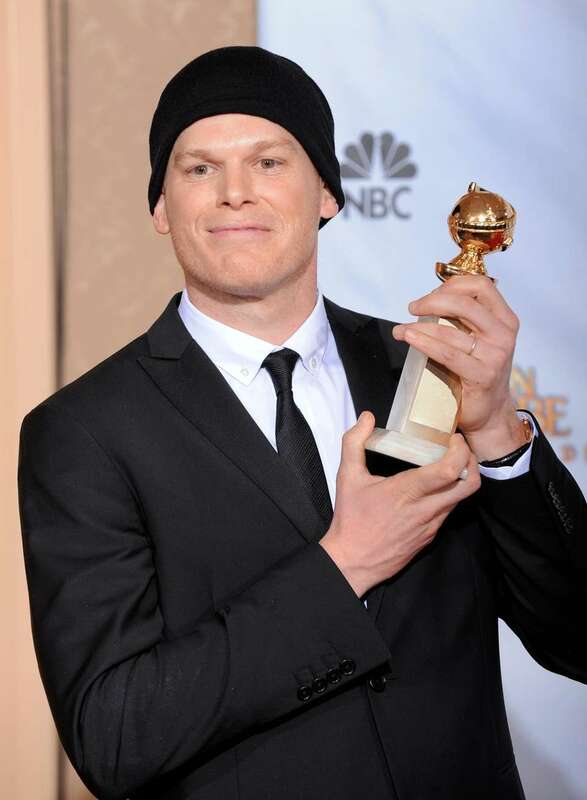 Michael C. Hall--most recognized from his role as Dexter Morgan, the title character from the Showtime cable networks series "Dexter,"--announced in January 2010 that he had been diagnosed with Hodgkin's lymphoma (a cancer of the lymphatic system). 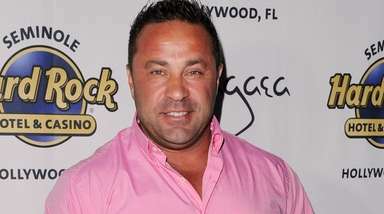 He underwent chemotherapy following the end of filming for his show's fourth season, and the disease went into remission after the treatment. 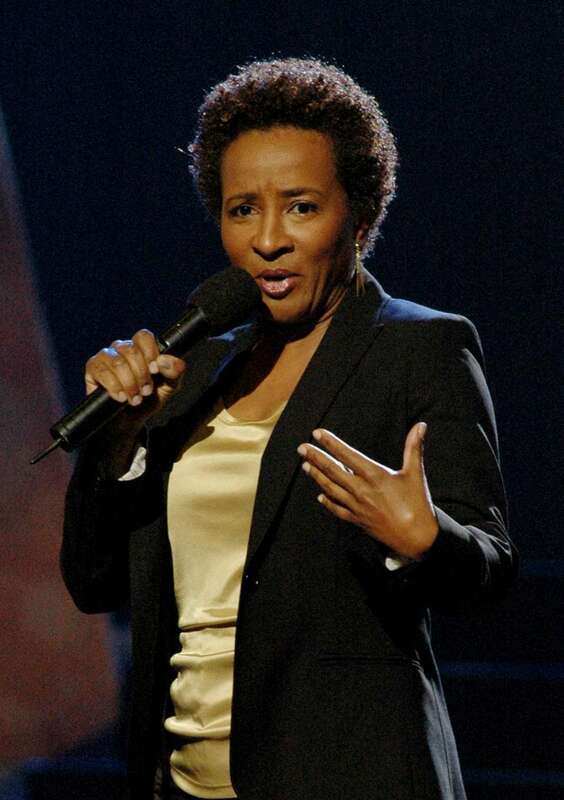 Comedian Wanda Sykes elected to have a prophylactic bilateral mastectomy in August 2011 following her February 2011 breast reduction surgery, during which she was diagnosed with ductal carcinoma in situ (DCIS), an extremely early-stage form of breast cancer. First announcing in August 2010 that he was diagnosed with throat cancer--for which he underwent chemotherapy and radiation therapy as treatment--Michael Douglas later revealed in October 2013 that he in fact had dealt with tongue cancer. The Academy Award-winning actor explained the falsehood was used as cover, due to concern that if those in the film industry determined his illness would affect his physical appearance (surgical procedures to combat tongue cancer can result in partial removal of the jaw and tongue), it could have affected his ability to continue working. 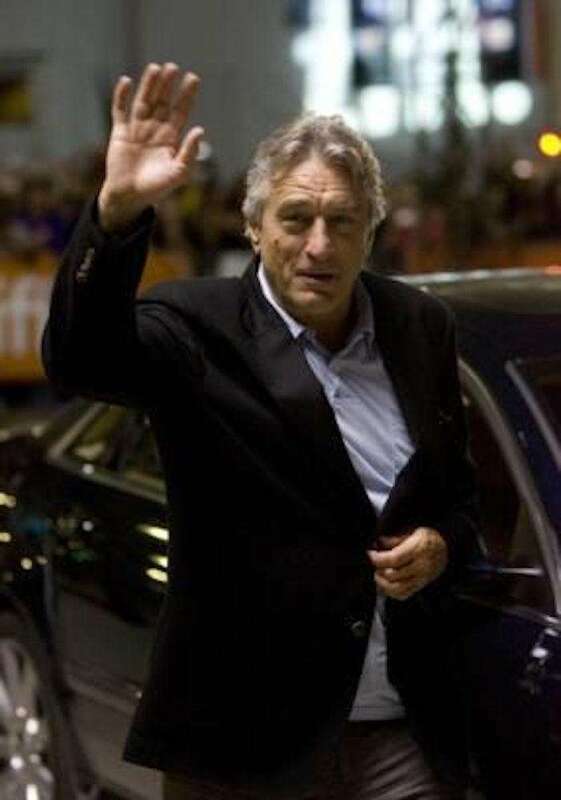 The actor's agent revealed in October 2003 that Robert DeNiro was being treated for prostate cancer. He has generally kept information relating to his treatment private, but did tell now-former CNN talk show host Larry King during a December 2006 interview that he received a prostatectomy, a surgical procedure that involves either the partial or complete removal of the prostate gland. Actress Fran Drescher, best known as the star of the CBS networks sitcom "The Nanny," was diagnosed with early-stage adenocarcinoma (uterine cancer) in 2000, following a two-year process during which her physical symptoms were originally misdiagnosed as menopause-related by several physicians. Drescher underwent an immediate radical hysterectomy as treatment, and two years later wrote the book "Cancer Schmancer" (2002), which documents her experience and offers cancer education. Drescher has since founded the Cancer Schmancer Movement advocacy group, and serves as its president. Sharon Osbourne, cohost of the CBS networks daytime talk show "The Talk" and wife of the singer Ozzy Osbourne, was diagnosed with colon cancer in July 2002. Her treatment included surgical removal of a portion of her large intestine and some lymph nodes, then underwent chemotherapy--and documented some of her experiences in recuperation during the second season of "The Osbournes" (the reality show focused on her family's daily life). Osbourne also found out in 2012 that she carried the breast cancer gene BRCA1 and elected to undergo a preventative bilateral mastectomy. Actress and Grammy Award-winning singer Olivia Newton-John was diagnosed with breast cancer in 1992. She underwent a procedure that involved a radical mastectomy with immediate reconstruction, followed by chemotherapy as part of her medical treatment. She revealed on May 30, 2017, that the cancer had returned. Award-winning singer/songwriter Carly Simon was diagnosed with early-stage breast cancer in October 1997 and received surgery to remove a malignant tumor, followed by chemotherapy, as treatment. The late Nelson Mandela (1918-2013), a former President of South Africa and Nobel Peace Prize laureate, was revealed to be undergoing treatment for prostate cancer in July 2001. Mandela received hormonal treatment and radiation therapy, but didn't require chemotherapy or any surgeries. Lance Armstrong, former professional cyclist, was found to have an advanced and aggressive form of testicular cancer (in October 1996) that had then spread into his lungs, lymph nodes and brain. 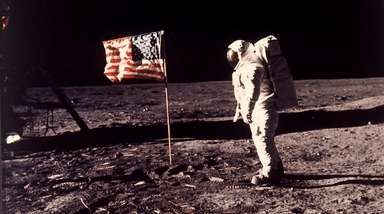 Armstrong's treatment included an operation to remove a testicle and a second surgical procedure to excise two cancerous lesions from his brain, then received chemotherapy as further rehabilitation. Pop singer Kylie Minogue announced in May 2005 that she was diagnosed with early-stage breast cancer, and received surgery and chemotherapy as part of her treatment. U.S. Senator John McCain was diagnosed with melanoma (skin cancer) in 1993, and again in 2000. In both cases, the melanoma was excised; lymph nodes were also removed during the 2000 procedure as a precautionary measure. Television personality and co-host of the NBC network morning news program the "Today" show Hoda Kotb was diagnosed with breast cancer in February 2007, and received a mastectomy, but was able to avoid chemotherapy due to the early discovery of the tumor. Peggy Fleming, figure skater and Olympic gold medalist, found a lump in her breast in January 1998, and further examination revealed the growth to be a small but malignant early-stage tumor. 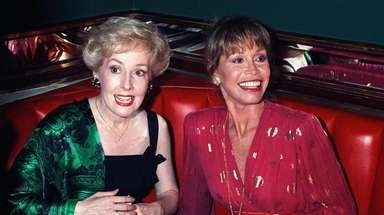 Due to the early diagnosis, Fleming avoided chemotherapy, but did receive a lumpectomy (breast-conserving surgery) and six weeks of radiation. Actress Suzanne Somers, best known for playing Chrissy Snow on the ABC networks sitcom "Three's Company," was diagnosed in 2000 with breast cancer. She received surgical and radiation treatments to combat the disorder, but famously rejected the use of chemotherapy, instead opting for a drug made from mistletoe extract. Somers was again diagnosed with cancer in 2008, but that determination turned out to be incorrect. She wrote a book titled "Knockout: Interviews With Doctors Who Are Curing Cancer and How to Prevent Getting It" in 2009, in which she advocates alternative cancer therapies; the tome has raised controversy in the medical community and in the media. Singer and actor Harry Belafonte was diagnosed with early-stage prostate cancer in 1996, and was successfully rehabilitated with radiation therapy, hormonal treatments and surgery. Rock musician Sheryl Crow was diagnosed with invasive ductal carcinoma in her left breast in 2006, and received treatment that included a lumpectomy (breast-conserving surgery) in February 2006, followed by seven weeks of radiation therapy. Gold medal-winning Olympic figure skater Scott Hamilton was diagnosed with testicular cancer in March 1997, and successfully treated the disease with surgery and four months of chemotherapy. However, he was further diagnosed with a non-cancerous pituitary brain tumor in 2004, a recurrence in 2010 and a third benign tumor was discovered in October 2016. Actress Diahann Carroll, most famously appearing in TV programs such as "Dynasty" and "Julia," was diagnosed with breast cancer in 1998, and underwent a lumpectomy followed by radiation treatments to combat the disorder. Gloria Steinem, a journalist and activist, was diagnosed with breast cancer in September 1986; her treatment included a lumpectomy (breast-conserving surgery) and radiation therapy. Grammy Award-winning musician Melissa Etheridge received a diagnosis of breast cancer in October 2004, which was treated with a lumpectomy (breast-conserving surgery), chemotherapy and removal of some lymph nodes. Actor Richard Roundtree, best known as the star of the 1971 film "Shaft," was diagnosed with breast cancer in 1993. Roundtree received a double mastectomy, chemotherapy and had a lymph node removed as part of his treatment, but didn't publicly reveal either the diagnosis or medical response until 1998. Edie Falco was diagnosed with breast cancer in 2003 while playing Carmela on the HBO networks mafia drama "The Sopranos." She kept her health analysis private, underwent chemotherapy and revealed her diagnosis in 2004 after the treatment was completed. On Sept. 19, 2007, Robin Roberts, a co-anchor of ABC Network news program "Good Morning America," announced on the air that she had been diagnosed with breast cancer, and would be undergoing chemotherapy treatment, followed by radiation treatment. She survived the breast cancer, but in June 2012 she then publicized that she was again diagnosed with cancer, a different type known as myelodysplastic syndrome (MDS), a disorder that affects the blood and bone marrow; to combat the MDS, Roberts received a bone marrow transplant harvested from her sister. General Colin L. Powell was diagnosed in the summer of 2003 with prostate cancer during his tenure as Secretary of State, at the age at 66. Powell successfully underwent surgery to remove a cancerous prostate gland in December 2003 at Walter Reed Army Medical Center in Bethesda, Maryland, and made a full recovery, remaining as Secretary of State until his resignation in 2004 and the confirmation of his successor (Condoleezza Rice) in January 2005. Actress Christina Applegate was diagnosed with breast cancer in 2008 at age 36 . The former star of sitcom "Married, With Children" and films such as "Anchorman" (2004) and "The Sweetest Thing" (2002) underwent a bilateral mastectomy as part of her treatment; Applegate has since founded Right Action for Women, a nonprofit organization dedicated to help women find information about cancer and screening tests. Celebs who've spoken about mental illnessLena Dunham, Demi Lovato and Emma Watson and other celebrities are aiming to help break mental health stigmas. Celebs' stints in rehabThese celebrities, citing different reasons including "personal health" and different addictions, have disclosed spending time in rehabilitation centers. See more celebrity photosMore than 100 celebs to choose from, sorted by first name.